Tick-tock, tick-tock, tick-tock…the sounds of a clock ticking, or maybe a bomb counter counting down, or a sign that a commercial was coming…all would be correct when it comes to the world of “24“, the award winning hit TV show (winning multiple Emmy, Golden Globe, SAG awards) which aired for 8 full seasons, and one 12 episode shortened season on Fox from 2001 to 2010. One of televisions biggest hits, spawning everything from made for TV movies, clothing, ring tones and other forms of media, and helped make actor Kiefer Sutherland a household name. 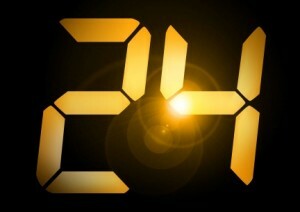 “24” was a groundbreaking first in network television for its format, each entire season took place in the course of one 24 hour day with each episode representing one hour. And it was done in real time as commercial breaks counted as time lapsed from the episode due to a running clock the kept time all episode. 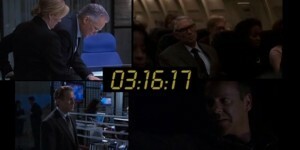 The show’s breakdown was fairly simple, a day in the live of a government agent named Jack Bauer (played by Kiefer Sutherland) who works for C.T.U., Counter Terrorist Unit, a division designated to investigate and handle possible terrorist threats on American soil. Through 9 seasons, C.T.U. dealt with everything from attempted Presidential assassinations, Biological warfare, radiation from dirty bombs, and drug cartels just to name a few things. Jack Bauer(Kiefer Sutherland) Lead C.T.U. field agent, often considered “over the top” or rogue by some co-workers and most superiors. Never above using questionable methods to get the job done. But always successful in the end, with some repercussions. Chloe O’Brian(Mary Lynn Rajskub) Lead data analyst and technical support for C.T.U. Put Chloe behind a computer and there’s nothing she couldn’t do. Tough to get along with because of a quirky personality, but fiercely loyal to Jack. Tony Almeida(Carlos Bernard) Former division head later promoted to Director of C.T.U. Los Angeles, Almeida first butted heads with Jack for the affection of Nina Myers, a co worker at the agency but later becoming one of his most trusted friends. Smart, tough, and brooding are words best used to describe Tony. His character has major plot twists in later seasons. Kim Bauer(Elisha Cuthbert) Jack Bauer’s daughter Kim. Always a driving force for her father, Kim and Jack go through some tough times as a result of his job and the consequences of things that happen in the first season. Nina Myers(Sarah Clarke) Nina Myers was a C.T.U. analyst in the early seasons of the show. It was also insinuated that Myers and Jack had an affair which caused problems in the office dynamic between Bauer, Myers, and Tony Almeida who also had feelings for Nina. Her character is another that took on a major change during later seasons. President David Palmer(Dennis Haysbert) During the early seasons of “24”, Haysbert played David Palmer, a Senator who ran and won the Presidency of the United States. Charismatic, compassionate, and intellectual, Palmer is one of Bauer’s closest friends. Bill Buchanan(James Morrison) Took over as head Director of C.T.U. in the later seasons, one of the few Directors that trusted Jack in the field without micro managing. Buchanan makes a decision that forever altered Bauer’s life and made him an instant fan favorite. Aaron Pierce(Glenn Morshower) Head of the Presidents Secret Service detail for most of the series. Beloved by fans for being true and loyal to the President and to Jack, always making the right decision, putting himself in harms way multiple times during his tenure on the show. Curtis Manning(Roger R. Cross) A high ranking C.T.U. Agent, dedicated to his job, often put in positions that opposed Jack and caused conflict due to his loyalty to Jack, but also to his job. Ryan Chappelle(Paul Shulze) Chappelle was the senior official at C.T.U. for a couple seasons and quickly drew the fans angst as he was constantly causing trouble for Jack, undermining most of Jacks moves, causing him to have to resort to more rule breaking. 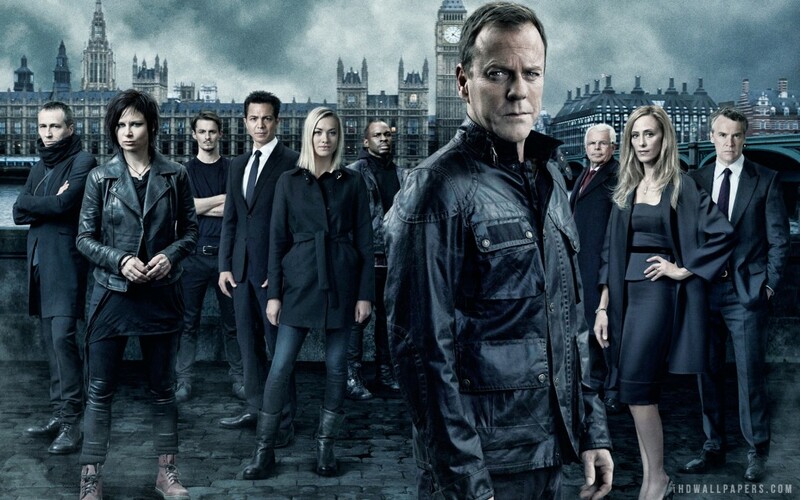 In 9 years, “24” was a veritable who’s who of guest stars. These actors and actresses played everyone from Doctors, Business Owners, Bikers, Agents, Analysts, and of course Terrorists(just to name a few). There was never a shortage of familiar faces, from fledgling actors to industry heavyweights like Katie Sackoff, Jean Smart, Zachary Quinto, Freddie Prinze Jr., Dennis Hopper, Micheal Madsen, Aisha Tyler, and good character actors like D.B. Woodside, Reiko Ayelsworth, Eric Balfour, Jeanine Garafolo, Arnold Vosloo, and Powers Boothe just to name a few. 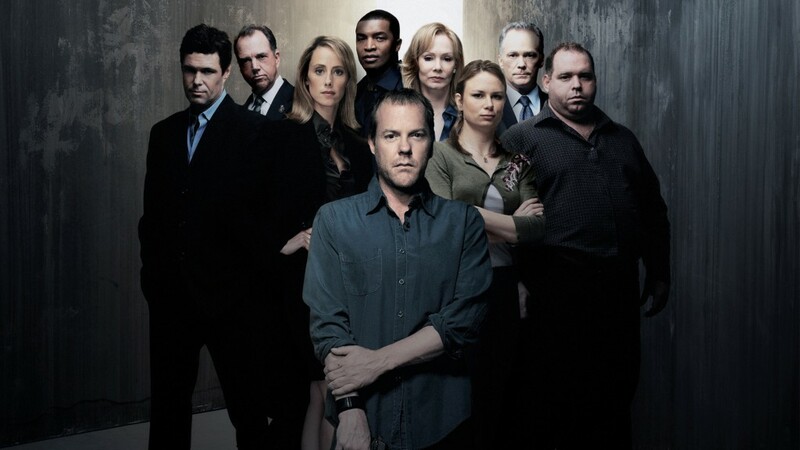 All in all, “24” was spectacular and way before it’s time, progressive at best, one of the first shows to depict the American President as an African American way before it happened in real life, also having a woman as the Commander an Chief. The show also never shied away from controversial topics like substance abuse, spousal abuse, torture, just to name a few. The show was constantly up for awards so it’s almost impossible to pick the “best episodes”, it would be easier to pick the best seasons. Season’s 2, 3, and 7 were the most awarded and are stand out’s. It’s been recently reported by random news outlets the FOX has picked up the option to run another 12 episode mini-season with an all new cast. As of now, the return of Kiefer Sutherland is doubtful, and a bit of casting news has leaked. Actor Corey Hawkins(Straight Outta Compton, The Walking Dead) will be playing Eric Carter, a returning military hero that joins forces with C.T.U. and Miranda Otto(Homeland, The Lord Of The Rings trilogy) will be playing Rebecca Ingram, a retired Division head at C.T.U.. No other information has been released about an official air date. “24” can be found on most cable networks in their onDemand sections, available for purchase at most retailers on BluRay and DVD. Mild mannered Industrial worker by day, Graphic Artist/Designer/Writer the rest of the time. Self professed Nerd/Geek and lover of all that is comics.